May 2017 has presented itself with various opportunities for the Konnekt Recruitment Specialist team members to meet with professionals and students alike from different industries. 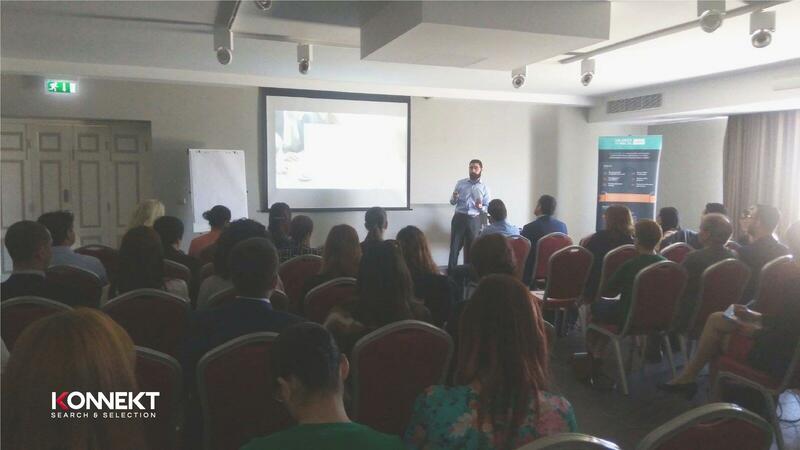 We kick started this month with the 6th edition of the salariesinmalta.com HR Network Series called Attraction & Retention Strategies, held on the 5th May where Konnekt’s IT and iGaming Recruitment Manager Etienne Gatt, gave a speech discussing the talent market in Malta and some of the challenges and opportunities companies face locally to attract and retain such talent. We later sponsored and attended the BLM HR Spring Event on the 16th of May. 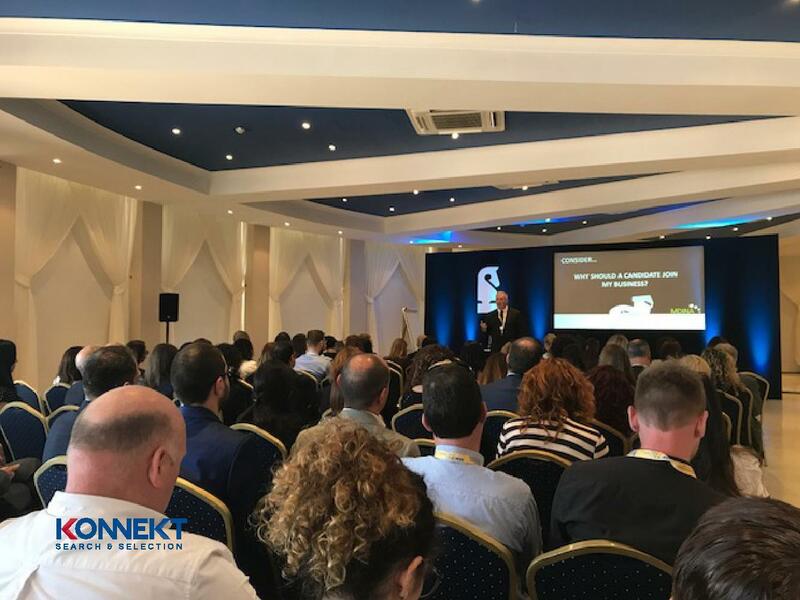 Our partners Business Leaders Malta organised this conference with the aim of gathering HR specialists from all industries to provide insight on HR leadership qualities, and discuss the tools required to shape an organisation’s HR performance. More than 100 HR professionals coming from various industries, were in attendance. 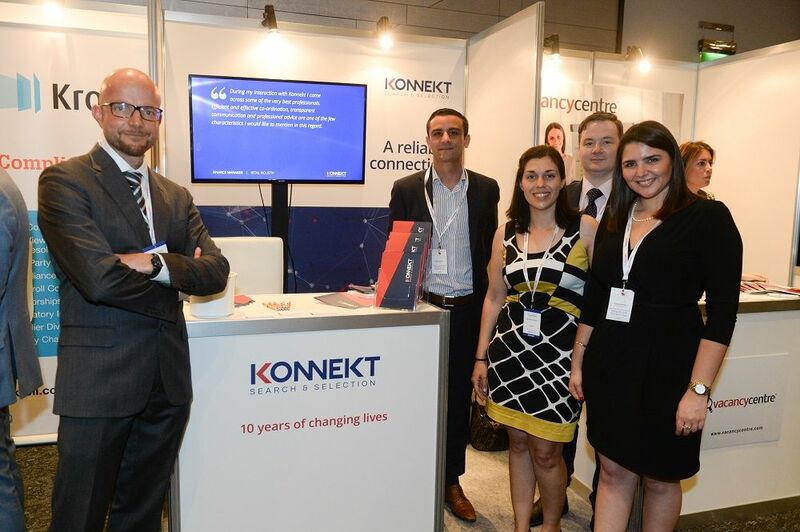 Just a couple of days later, on the 18th May Konnekt was a Gold sponsor of the FinanceMalta 10th Annual Conference. This conference provided insight for industry professionals to achieve and maintain a high level of excellence in their daily work practices and methodologies. The conference included workshops which focused on Pensions, Crowdfunding/Venture Capital, and Fintech. The 4th AML Directive was a recurrent theme with its introduction expected in the coming days. The Finance Malta conference is always the right place to obtain the latest news on what is happening in the industry within a global context as well as networking with the right people. The 19th of May provided for a different event opportunity. 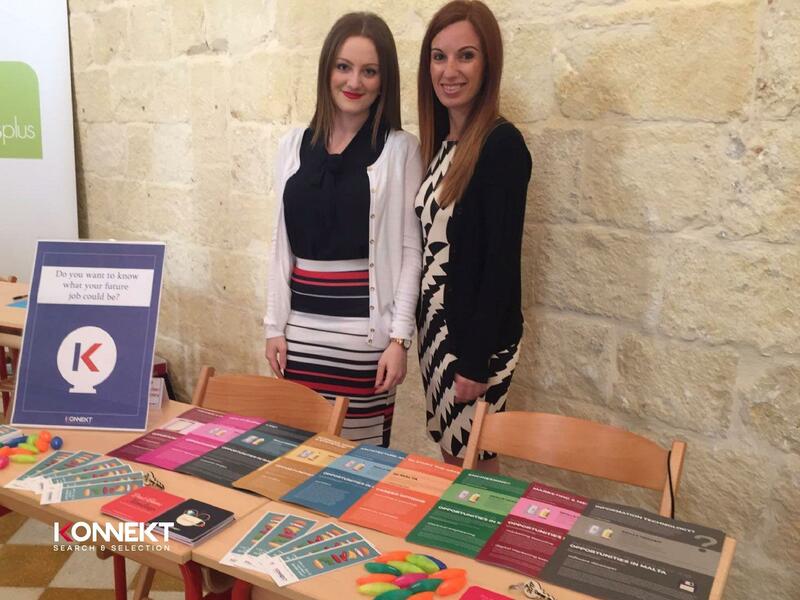 Konnekt was invited to the Bishop’s Conservatory Secondary School in Gozo to attend their Careers Event. We had the pleasure to meet the lovely students who have a thirst and inspiring enthusiasm for their future. We spoke to over 100 students about the various working opportunities at their feet, and what they have to do today to get to where they want to be tomorrow. This event also gave the students the opportunity to learn about what the profession of a recruiter entails and how we can be of help once they finish their education. These conferences and events are what allow us as a company to meet with potential candidates and clients alike and discuss what their requirements and needs are, so as to continue to better our service. Meeting face-to-face with industry professionals and attending talks by foreign specialists, also allows Konnekt to remain up to date and informed on matters that not only further improve our service to our clients, but also improve our own knowledge on current matters.